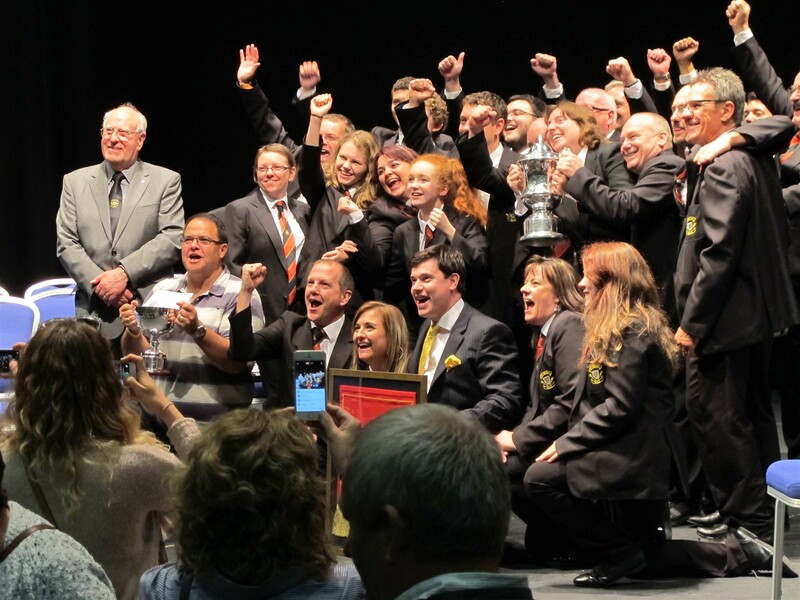 The band were delighted to be crowned First Section Champions at the National Brass Band Championships of Great Britain which were held at The Centaur (Cheltenham Racecourse) over the weekend. The band gave an extremely musical and precise performance of the set test piece “Ballet for Band” by Joseph Horovitz. Adjudicators John Maines and Alan Morrison remarked that it was a fine performance and masterful reading that captured the spirit of the music and painted so many pictures. This victory also sees the band return to the Championship section from January 2017. This hard work coupled with a weekend workshop with Philip Harper played a big part in the bands success. It has been an extremely successful year for St Dennis. Out of the 4 contests entered this year, the band have come away with 3 wins and also a top 10 placing at the Spring Festival contest in Blackpool.